Myth: The pool provider created the design. They should be ready to break ground. Reality: A pool provider such as Reef Tropical creates swimming pool designs and performs installation. Before receiving a building permit, designs must be carefully engineered with proper specifications. Independent engineers are retained to calculate necessary plumbing, piping, electrical and gas (if applicable). An engineer configures the pool floor, from the size of rebar to the thickness of concrete. The engineer takes the pool design and plugs in the exact measurements so the project can be executed successfully. All of this happens before the pool provider applies for a permit. Meanwhile, because of the active swimming pool market here in South Florida, reputable engineers have a backlog of work and there’s a wait to get swimming pool designs engineered. It can take anywhere from 30 to 90 days to execute the design and engineering process, depending on the complexity of the swimming pool, its size and the property requirements. 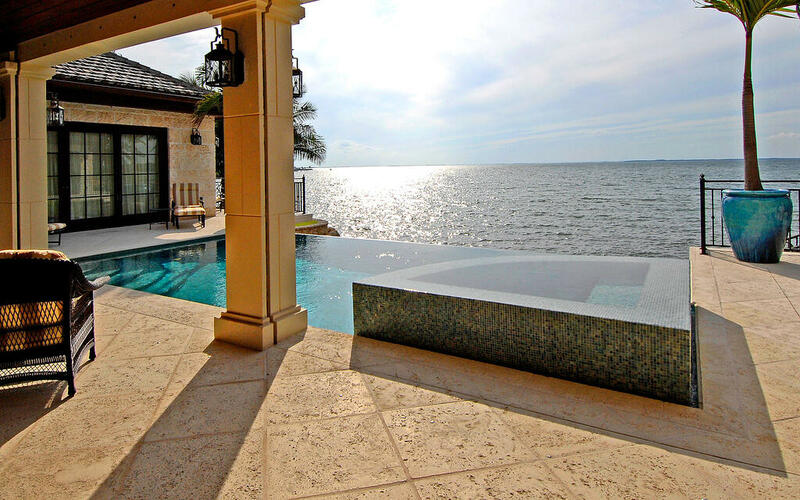 Myth: A friend in another Florida city has a pool like this. Why won’t the design work on my Monroe County, Fla., property? Reality: Regulations vary based on your county, city and even the neighborhood in which you’re building. A pool that received a permit across town might not be permitted on your land. There are many variables at play. For example, in the Florida Keys, there are building regulations designed to protect endangered species and land. In The Keys, we must get plans approved by the Florida Keys Electric Cooperative prior to submitting plans to Monroe County for permitting. So, this adds and extra step (and about a week more of time). Some jurisdictions require inspections prior to permitting, and that could include review by a biologist. There might be rules concerning closures to prevent flooding. Every city is different—and codes can even be different within a city if an HOA has specific building restrictions. Perhaps the most common issue we review even prior to creating the design is setback requirements. While most communities have a 35-foot set back from the front and back yard, that rules are different for waterfront properties—and there are side-yard regulations to consider, too. Ultimately, the key is to hire a pool provider that has a complete understanding of and access to resources to ensure a smooth permit process. We work closely with jurisdictions to ensure that all designs are engineered to pass the permit process. We hate to say this is a waiting game, because there’s so much communication and engineering happening on the back end that clients do not see. But, for property owners, indeed the permitting process is all about being patient and waiting for approval. Myth: The permit must be sitting on some city official’s desk. Why is it taking so long to approve? Reality: Permits go through an extensive review procedure that varies depending on the city and county. During this time, the jurisdiction makes comments. The pool provider takes those comments to the engineer and requests modifications to meet requirements. This commenting and review period can take months. Ideally, the permit will be issued in less than 90 days. But that all depends on the property location, pool design, how quickly comments are addressed and the time taken to amend plans. How Can You Help The Permit Process? To some extent, the permit process from the property owner’s perspective is a waiting game. But, there are a couple of things you can do prior to pool design that might speed up the process. Find out the setback requirements for your property. Call your local building department and provide the parcel number of your property. Often, the building/surveying department can provide the setback information to you over the phone. This saves the pool provider the step of getting this initial information that is necessary for design. Local building departments are great resources that can let you know what’s required to get a permit. Be patient. The permit process could take up 3 to 6 months (especially for complex pools). Your pool provider relays information from jurisdictions to the engineer, who makes amendments based on their comments and requests. 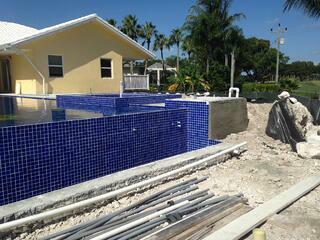 The process can be lengthy, but it’s necessary before any pool in South Florida can be built. Go in to the pool construction process expecting to wait for a permit. Never forget—property owners’ request for attention their permits carry more weight because they are the taxpayers and building officials work for them. Ask your pool builder how you might help. A call to the building department can go a long way. There are plenty of companies that design and install pools, but how well do those providers understand building codes and specific regulations that must be adhered to in order get a pool permit? Beware of pool providers that speed through this permit process or ignore it entirely. If a permit is not obtained prior to installing a pool, you could face considerable fines. Permits are required for a reason—to protect you, the property owner. A knowledgeable, experienced pool provider will guide you through this permit process and stay in communication during the inspection and review processes. Want to learn more about what is required to create a quality pool on your South Florida property. Call us any time at 305.367.2005, or fill out this simple contact form and we’ll get in touch with you.